Posted by Michael Hoexter in Energy Policy, Green Transport, Renewable Energy, Sustainable Thinking. In the first part of this mini-series for policymakers, I addressed the marquee issue in energy currently, finding a replacement for limited, expensive and polluting petroleum; I concluded that a three-pronged approach based on electric traction in transportation would go the furthest in reducing our dependence on petroleum. But that electricity would need to be generated in a timely manner… or energy would need to be stored or accessible in a ready form. In this next installment I am going “upstream” to look at what our choices are in a post-oil, post-carbon world to generate electricity in a clean, useful and timely manner. Why is Electricity the Energy Carrier of Choice? Our already substantial investment in an electric infrastructure over a period of 120 years in industrial countries, makes the transition to a electricity based energy easier as "sunk costs" can be utilized for the future. There are sound physical reasons why, in the first installment of this series, the three main contenders for the energy supply for transport turn out to be the three electron economies, the Renewable, the Nuclear and the Coal CCS. We have determined there that electric drive vehicles either attached to the grid or powered by some version of a battery can do most of the on-land transport tasks that are now dependent on oil supplies. There are other reasons why electricity is valuable for driving stationary machinery as well which we will go into in the final installment of this series. Why then is electricity preferable to biofuels, hydrogen and coal to liquids? In addition to zero emissions at end use, electricity has benefits in efficiency and availability in almost all stages of its production, transmission, and consumption. Electric generators can be built to use a wide variety of types of energy (heat, light, mechanical energy) to create the highly usable and flexible energy carrier, electric current. In other words, electricity is the ultimate in “flex-fuel”. All renewable energies (wind, sun, geothermal heat, wave, tidal, biomass, natural chemical and thermal gradients ) can be converted into electricity with existing technologies. In addition, while we must shift the way we generate electricity in most instances, this is not a full-scale rebuilding of our energy system but a modification of existing infrastructure, so in the end, less expensive. Existing electrical generation technologies convert a fairly large amount of the primary energy that they receive into electric energy. Current solar panels, for instance, can convert anywhere from 10 to 40% of the energy of the sun into electricity depending on the technology; by contrast plants convert at most 1% of the energy of the sun into biomass, an energy harvest that is further reduced if that biomass is converted into a liquid biofuel rather than burned in a biomass electric generation facility. 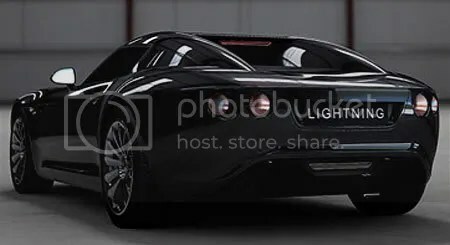 Electric motors are so compact that this electric sports car, has a 120kw (163 horsepower) electric motor in each of the hubs of its wheels, each of which weighs 55 lbs; an equivalent internal combustion engine would be several times larger and heavier as well as much more inefficient. Additionally, electric motors, because of the physics of the electromagnetic force, are incredibly efficient at generating torque, the useful product of engines and motors. An electric motor of medium or larger size (90-95% efficient) requires somewhere between one third and one-quarter the amount of energy to do the same work as an internal combustion engine(20-30% efficient): they therefore generate 3 to 4 times more torque per unit energy put into them, than all but the largest and most efficient house-sized diesel ship engines (50% efficient). Electricity also can be used for a huge variety of functions for the end user: generating mechanical movement, heat, light and sound. So electricity is both flex-fuel and flex-use. It is no wonder that, even with no consideration for the current energy and climate concerns, more and more devices have been designed with more electronic components to increase their functionality, including petroleum powered automobiles (electronic fuel injection, stability control, drive by wire, etc.). Electricity’s weakness has been that electrical energy storage is bulky and heavy in comparison to the portable liquid fuels to which it is often compared. Batteries and ultracapacitors are still relatively large and expensive compared to a liquid fuel tank and the hydrocarbons that are pumped into it. As the drawbacks of fossil fuels are starting to be more widely recognized, the positive attributes of alternatives are once again being recognized. Also, substantial investment is once again flowing into resolving this one final hitch in electricity’s otherwise near-ideal attributes and the technological development curve promises rapid advances. In the distant future, we may have other energy carriers with more favorable characteristics but for the foreseeable future it makes the most sense to build on the advantages of electricity. A Choice of Primary Energies: What is the Clean Energy of Tomorrow? Usable electricity just doesn’t appear but is generated from a pre-existing or primary energy; one of the great decisions of the 21st Century will be how we choose to generate electricity. We have established that there are under consideration three main carbon-reduced or carbon neutral “clean” primary energies for electricity: renewable energy, nuclear energy, and coal with carbon sequestration. While electricity itself is “flex-fuel” meaning that any and all of these methods can be used to generate electricity, we will need to arrive at a differentiation of, if not a prioritization of, which methods are going to be the most sustainable and ultimately the main driver of the new electron economy, post-coal and post-oil. To guide policy and investment, we can create a “loading order” for these resources, though a multi-track approach is also probable if not desirable. three alternatives, coal generation with CCS is the least promising as it has some major strikes against. However it does have some advantages as well. Taps into a still vast energy store (coal deposits) so can be called upon when needed independent of weather conditions and in response to electric demand. Coal mining is often very destructive to the landscape and to coal miners. Mass carbon dioxide release from underground is considered unlikely but potentially lethal for people and wildlife as well as defeating the purpose of CCS. CCS may not reduce or eliminate the other pollutants associated with coal combustion including mercury emissions, SOx and NOx. CCS or “clean coal” has been used as a public relations “cover” to justify the building of new coal generating plants without adding the “optional” CCS facilities. Coal with CCS may have a role in a transition to a more sustainable energy system but it is by design a stop-gap solution. In the light of concerns about climate change, some environmentalists as well as those within the nuclear industry, have emphasized nuclear energy's carbon neutrality; advocating it as the solution to climate change. In light of concerns about climate change, the role of nuclear power in a future or transitional energy system has been re-evaluated. Worries about nuclear plant safety, nuclear weapons proliferation, and nuclear waste are being balanced against the fact that nuclear plants during their operation do not emit carbon dioxide into the atmosphere. Unlike coal-fired generation, nuclear power technologies, especially if we consider prototype reactors, vary greatly and massive government investment has gone into researching a wide variety of reactor designs; however one type, the pressurized light water reactor, still predominates in commercial nuclear plants. I will treat nuclear as two concepts then, existing nuclear and potential nuclear designs. I am considering potential future nuclear designs at all because the physics and history shows at least the potential for a high energy yield, though at a price worth assessing. Produces large amounts of highly radioactive nuclear waste that will need to be stored for millenia in isolation from the biosphere. The uranium enrichment process can also produce higher concentrations of U235 suitable for nuclear weapons. Naturally occurring, economically extractable U235 will run out sometime in the latter half of the 21st century, especially if new nuclear plants are built out aggressively. Pressurized light water reactors then are not a particularly promising solution to our energy crisis, especially in the longer term. In some versions of a future nuclear system, fuel reprocessing facilities like this one would extract fissionable fuel from reactor cores that had been bombarded by neutrons during a reactors normal operation, creating U235, U233, and Pu239. A future nuclear system would in some ways be more complex than our current one as non-fissionable heavy elements will need to be transformed into fissionable ones before use in power-generating reactor. Some nuclear power advocates believe that most or all of the drawbacks of the current nuclear power system can be remedied through technological development of a combination of new reactor designs, new ways to process fuel, and the extraction of fissionable fuels (uranium and thorium) from new sources. In sum or as piecemeal solutions these changes are supposed to reduce the toxicity and amount of nuclear waste, increase the amount of fissionable fuel up to several thousand-fold, and reduce the risk of nuclear proliferation. These technologies however do not represent a unified plan but rather a series of technology proposals that build upon past or existing prototype reactor designs and fueling systems that have either been built or speculatively might be built. One of the objectives of these scenarios is to widen the potential base of nuclear fuels by creating reactors that can turn much more plentiful Uranium 238 or Thorium 232 into a fissionable fuel (Uranium 233 or 235 or Plutonium 239). Others suggest extracting fuel from sea water, which has a small but nevertheless plentiful fraction of uranium isotopes in it. The net effect of these new fuel processing and sourcing proposals is to extend the supply of fissionable fuels to hundreds if not thousands of years into the future. Still others suggest reactor designs that will not allow weapons-grade uranium and plutonium to be isolated. Some tactics involve using discarded nuclear wastes as fuels as well as producing a much smaller radioactive waste product with a half-life in the hundreds of years rather than in the tens of thousands of years. Nuclear energy that can make U238 or thorium fissionable can tap into a very large store of fuel, and can therefore be used at will for many years to come; according to advocates for thousands of years. The described future nuclear system is more than a decade and perhaps decades away. Climate change is upon us now. The promised benefits may not materialize. As yet uncharted safety issues will emerge with new radioactive fuels or coolants like liquid fluorine. Developing these systems would be a major expense drawing on government research funds diverted from less elaborate technological systems like renewable energy and energy storage. Existing fuel reprocessing systems have proliferation risks attached; they isolate plutonium. The compact power of fissionable elements may have more appropriate uses in some future technology (spaceships?) other than power generation for daily use. The Nuclear Electron Economy, be it in its conventional form or a potentially improved future form, is a runner-up to the Renewable Electron Economy largely because it is not ultimately sustainable, carries with it large technological and safety risks, and its deployment as a substitute for fossil generation is many years away. As you might expect from an analyst who has written about the Renewable Electron Economy, I believe that the mainstay of our future energy system will be electric generators powered by renewable energy. However, I hope to show here that this choice has a basis largely in economic, scientific and technological reality rather than my personal prejudice or some of the social utopian ideals to which renewable energy has been attached. Though I am for a comprehensive push to develop and deploy all types of renewable electric generators, constructing a Renewable Electron Economy, where renewable energy does the heavy lifting, will require a focus on specific strengths and weaknesses of renewable energy. Advocates for renewable energy have tended to either cluster into an “anything goes” ecumenical approach or focus on renewable energy as a self-generation option for households and business. Some have championed renewable energy as a means to even dismantle a widely interconnected grid through each power user autonomously producing their own power. Why one would want to dismantle the grid seems to be a matter of personal preference or fixed ideas about how society should function rather than a reflection on the electric grid’s usefulness. The DESERTEC concept sees a linkage between renewable generators throughout Europe, North Africa and the Middle East to balance renewable energy flows and, in addition, enable water desalinization in desert areas. In the US and North America, a similar concept does not need to traverse so many international boundaries. The approach to renewable energy I favor emphasizes the power of widely cross-linked generators to tap into the strengths of renewable energy and address its weaknesses in an energy economy where residential, commercial and governmental users are actually depending on renewable electricity to provide them with the energy they need. Solar panels on rooftops or small windmills alone will not, with current generation and storage technology, be sufficient to substitute for the day and night, always-on power of our current grid. Combining large and small generators including solar thermal with storage, hydroelectric, pumped storage, biomass power plants, as well as more familiar wind and photovoltaic generators can reproduce under most conditions, the reliable power of the grid. The most promising technology in this area is not simply horizontally networked generators but a well-orchestrated mini-grid regulation system that can be called a “renewable combination power plant”. The renewable combination power plant joins discrete renewable generators together to deliver power exactly as it is needed by grid users, just as is done today with conventional power plants. In contrast, isolated renewable generators without storage produce power according to the availability of their primary renewable energy. 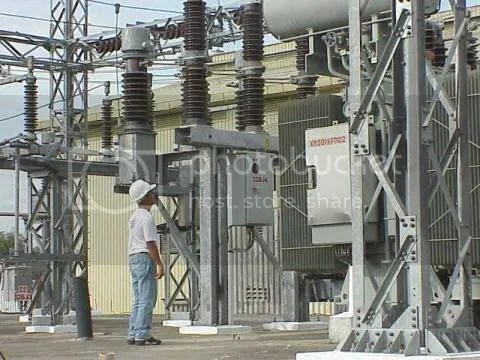 The combination power plant operators respond to signals from the power grid operators about when and how much power is needed. A renewable combination power plant requires, as at least some components, clean storage technologies or dispatchable renewable resources like biomass power plants, hydroelectric, pumped storage, and solar thermal with storage. These controllable resources are then extended by wind, wave, tidal, geothermal or photovoltaic solar power which produce power whenever they have incoming renewable energy. 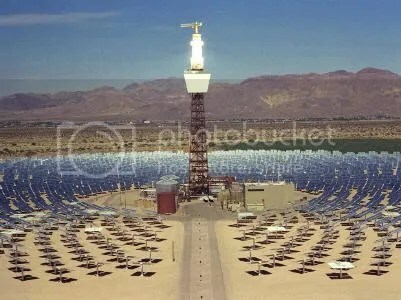 The Solar Two demonstration power plant, built by the US Department of Energy, generated power for seven days and nights continuously using only solar power, which was stored for night time use as heat. Even with current technology, however, there is one renewable technology that can do a majority of the work of current fossil generators, solar thermal electric with thermal storage also called CSP (concentrating solar power) with storage. Sited in desert or semi-arid areas, solar thermal electric uses mirrors to focus direct sunlight on a thermal fluid, like water, oil or molten salt that is used to make steam to generate electric or stored as heat in heat storage for later, similar use. The relative efficiency and low cost of thermal energy storage, the relative vastness of the world’s major deserts, and the consistency of the desert sun are the strengths of CSP with storage. Solar thermal with 16 + hours storage or solar baseload can substitute for coal generation during much of the year and about 1% of the area of the world’s deserts could generate all the power that the world currently uses. The use of CSP to serve a majority of the world’s power customers requires the building of long distance power lines mostly likely using high voltage DC technology that can theoretically transmit power for 4000 miles with about 20-25% losses. 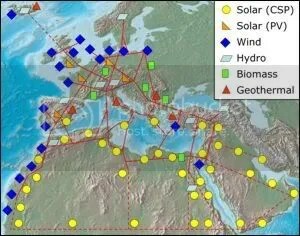 There are a number of concepts now being discussed including DESERTEC which links Europe with North Africa and the Middle East, as well as a concept I promote, the Solar Southwest Initiative, that foresees linking the Southwestern and Sonoran desert with power demand centers across North America. In the end, local resources and distant renewable resources will combine to produce a complex but more robust and reliable clean power grid. Added to the options of the combination power plant and solar thermal with storage are several other technologies that will significantly contribute to the Renewable Electron Economy: small and medium hydroelectric, deep geothermal, as well as better publicized wind and solar photovoltaic. Developing these renewable power resources in some of the more favorable areas will involve the building of some new electric transmission, which advocates of small-scale renewable energy have often opposed (or opponents of transmission have often advocated small-scale renewables as if they substituted for large-scale renewables). The balancing of renewable energy flows across space and time to meet current demand for power requires transmission that links supply and demand. Generators can be scaled from very small to very large; investment amounts can range from a few hundred dollars to several billion dollars. Mature or rapidly maturing technologies in most categories of renewable generator. Renewable energies occur naturally as energy flows rather than energy stores or stocks (with the exception of biomass); an all-renewable grid needs to build up and carefully manage stored energy. Overreliance on biomass, the primary natural energy storage medium, may tax soil and the biosphere. The reduction in solar energy around the winter solstice may present challenges for a solar-dominant all-renewable grid especially during times of low wind. The Renewable Electron Economy organized around combination renewable power plants and solar thermal power with thermal storage will minimize or eliminate most of the drawbacks of renewable energy. The emergence of scalable deep geothermal power or EGS, will address the latter two, more difficult but lower-frequency challenges facing an all-renewable grid. Al Gore has inspired many of us with his call for a 100% renewable grid to be built in 10 years and, in the area of energy policy, we are in dire need of inspiration. On the other hand, considerations of reality, scientific and financial, need to work together with vision and inspiration to construct a functioning clean energy system in the real world. In my next installment I will take a look at the policy and economic drivers for creating a Renewable Electron Economy that will serve our energy needs and make the survival of a human-friendly biosphere more likely. Thank you for one of the best summary discussions on our post carbon energy options that I have read. Very well written, and well said. Small correction–the proposed liquid FLUORIDE reactor uses FLUORIDE salts, not elemental fluorine, as the carrier fluid. Fluoride salts, which for this reactor would include LiF, BeF2, UF4, and ThF4, are very chemically stable, whereas elemental fluorine (which would be a gas at room temperature and oxidize nearly everything in sight) would be extremely dangerous to work with. An interesting debate going on at Zerocarbonista about the merits and demerits of various RE sources, esp big wind vs microgen. Dale Vince runs Ecotricity in the UK, a wind-based electricity supplier. With all the emphasis being placed on “efficiency”, I wonder that the local production and storage of electricity be being so disparaged here in favor of production centers with their need of either storage + transport and/or just-in-time transport (i.e. as in plug-in solutions) thereof. After all, the grid itself causes a net loss of the electrical energy it transports. Not to mention the immense usage of the energy transported by electricity by way of calculating and regulating throughout that grid the current need for such just in time delivery. Then, of course, there is also maintainance and modernisation and expansion of that grid to be considered. Consider if you would that not in all cases need that be in fact the optimal solution for energy production and storage. What, for example, about surface coating as per PV of cars, trucks, trains, planes, ships etc..
As for batteries vs. fuel cells. Check out the following hint at what the future of electrical energy storage could rather be, provided courtesy of NASA and its inherent need for a non-grid solution for the coming moon project(s). …the above link shows imho the way we need to go by way of supplying the energy needed by EVs. (1) The closed circuit H2 fuel cell based black box energy supply is said to be capable of storing a (6 to 10) multiple of the capacity of Li based batteries. (2) Unlike batteries, such a black box or closed circuit power storage / supply at least theoretically would suffer no corosion nor would it otherwise need to be periodically replaced. Not having any moving parts nor having to use up any of its constituent parts (all of which are either mere catalyst or transport material, but not fuel. That is to say, once installed, it would possibly last for the life of the vehicle using it, never needing to be replaced, unless it be due to forces brought upon it external to its specification and normal usage (such as in an accident resulting in it getting damaged). Its principle: waste water produced at the release just-in-time of electricity produced by H2 fuel cells, gets re-cycled for use in electrolysis powered by solar energy as a means of re-supplying the H2 fuel cell with its needed H2 and O2, both of which (in whatever form) remain within the closed system for use by the H2 fuel cells in the production of electricity. Thus, sun energy goes in at one end of the process, electricity comes out at the other, without any of the materials or components being used up. No danger of explosion exist thereby. The H2 and O2 are chemeically bound all the while. No inefficient transport over a grid comes into play. Such a solution can even result in energy autonomy for the vehicle, as long as the inputed solar energy suffice to provide all the energy needed to propel the vehicle. (3) Now let us consider the preference being given here so far to the EV as contrasted with the combustion chambered motorisation. What is to be said of a point of view that completely ignores (or so it has been seeming to me) the ecological cost of trashing the entire existing motorisation of the world, in favor of replacing it all with the new EV technology (even ignoring the infrastructure or grid tech admitted even here to be required to that end)? Would it not be much more ecologically sensible if possible to make further use of the motorisatoin already in use, therefore to transform it into ZEV (Zero Emissions Vehicle) tech? NASA has pointed the way into that future as well. For they have long since developed the use of lasers to explosively heat mere air. Let us then adapt such computer steered use of such laser tech within any and all existing forms of combustion chamber motorisation. Just picture turning all vehicles, cars, jets, ships and possibly even building heating units overnight into utterly ZE tech simply by way of combining solar pv and H2 fuel cell closed circuit black box power storage/supply with the such computer steered laser tech. How easily would we then the world over more than fulfill the entire Kyoto Accord intended reduction in CO2 (and other) emission reduction, being as the emission would not be merely reduced but actually by and large eliminated? Much if not all of the ecological costs that had already been caused by the prior production of today’s already existing motorisation fleet etc could by such means avoid having to get incurred yet again (and then some) by way of utterly replacing that entire fleet over time with EV tech vehicles, plus grid and other transport infrastructure. And just imagine the resources that therefore need not be used up to effect that transformation. And consider the pollution not produced in the meanwhile while the not yet improved upon nor replaced existing motorisation continue being used yet for decades, emitting just as dirtily all that while as before, right on up to its falling totally rusted away at the roadside or at some waterway’s sediment bottom. If then it prove prudent, after the wholesale transformation of the existing motorisation forms into utterly Zero Emission technology vehicles, to nevertheless go ahead and produce the kind of centralised production facilities and grid and other transport infrastructure that has been being envisioned here, well might we then have a go at it. For then we would have at least already have provided for the breathable air and habitat as well as for the breathing space (time) needed to do so. the MSBR had been designed. The MSBR is still considered the benchmark for alternative nuclear power proposals, and with completion of its final developmental research could be built within a decade given sufficient support. However recent technological developments would allow for the development of a lower cost, more flexable, and more energy efficient LFTR. 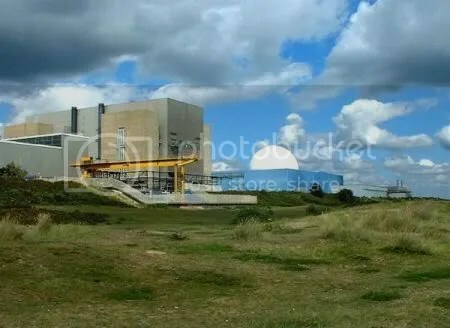 Had it been built, the MSBR would have used thorium cycle fuel which it could burn with around 98 percent efficiency, verses the less than 1% natural uranium burning efficiency of the LWR. The MSBR was designed with an integrated low cost and continuously operated fluoride based fuel reprocessing system. Geological exploration sponsored by ORNL revealed thorium deposits in the range of 10’s of millions of tons in the White Mountains of Vermont. Other very large and pure thorium deposits are known to exist in the United States. Thus The United States possess enough thorium to support its economy for tens of thousands of years. Fitst it produces at least two orders of magnitude less nuclear waste than light water reactors do. Secondly, The LFTR possess inherent safety characteristics, that cost nothing to implement beyond the construction cost of a the simple LFTR. Light Water Reactors require numerous and costly secondary safety features. Thirdly, the LFTR is proliferation resistant. Fourthly, the LFTR is capable of significantly higher levels of thermal efficiency than LWRs. Fifthly LFTRs can be built quickly, inexpensively and in very large numbers on factory assembly lines. Sixtly LFTRs can be build in small transportable moduels and either dispersed as decentralized electricity producers, or combined into reactor groups that will cost less to build that a simgle large LWRs of similar generating capacity. LFTRs can be used in cogeneration systems, that also include industrial process heat. Waste heat from LFTRs can be used for desalinization of sea water. Seventh LFTRs possess a unique capacity among reactors. They can load follow on electrical reserve. They can also be used as spinning reserve. The can be brought from zero power production up to 100% capacity as quickly as their turbines can be brought up to full speed. Ninth given the abundant thorium reserve found in the United States, and the probably very large world wide thorium reserve, LFTRs can be fueled as fast as factories can produce them. Start up fuel will come from plutonium found in nuclear waste, and from plutonium presently dedicated to nuclear weapons. LFTRs are good plutonium burners. Thus far from representing a piecemeal plan, advocates of the LFTR posses a far more integrated, less risky and generally more attractive plan than the advocates of renewables do. “Picking Winners”: Policy Blunder or Necessity? VI. Nuclear Power… Climate Saver? XII. The “Cheap Energy Contract”: Bedrock or Dinosaur? XV. Is the EV Revolution Already Here?